The cooks want to hear your suggestions for the salad bar such as different foods and salad dressings. Email your suggestions to kbackus@k12.wv.us. 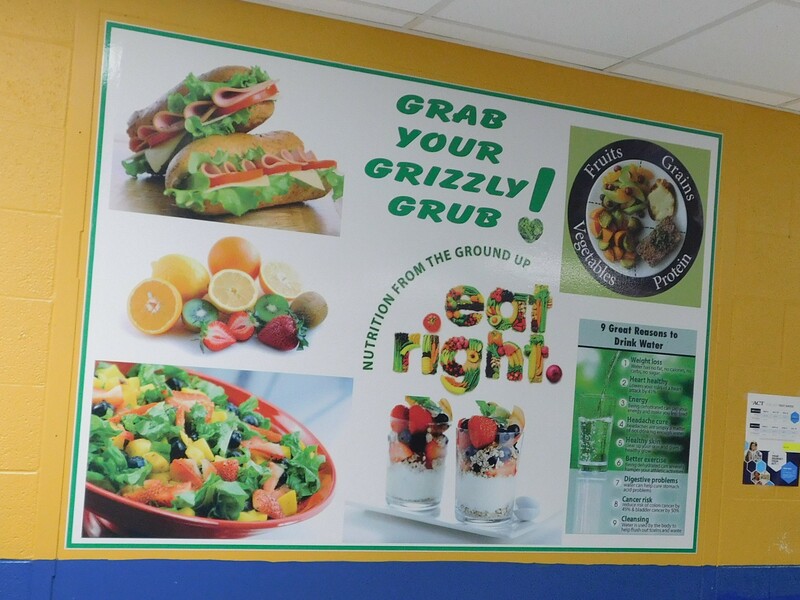 Most people agree that it would be nice if the salad bar was five days a week instead of three and that there were more to choose from like soup, sandwiches, or other options, which prompted Mr. Johnson to reach out to the Grizzly Gazette for ideas. Now we’re accepting ideas from all students! Over all, however, NCHS students love the new salad bar! From Wednesday to Friday, the salad bar is open both lunches. There are blueberries, strawberries, yogurt, salad, cottage cheese, boiled eggs, and a variety of dressing to choose form. Mr. Johnson serves at the salad bar, and he says that the students love it and every day in the lines the students say “Thank you the salad bar is open!” He also added that the cooks prepare the salad bar and do an excellent job doing so. Mr. Johnson said, “It’s hard keeping up with the volume of food going out and when kids slop food from one section to the next,” getting the food mixed together.